The need for leadership is never exhausted. All parts of society could benefit from more or better leadership. It provides direction to a group, it provides a force to a goal. Leadership is a skill. When someone with natural leadership skills steps up, people will often rally to get the task, job, mission completed with excellence. Thus, those that are looking to enhance themselves by investing in developing leadership qualities deserve attention for that work. Jeffrey Davis, a 2020 outfielder of Mt. Tabor High School, is in that category. 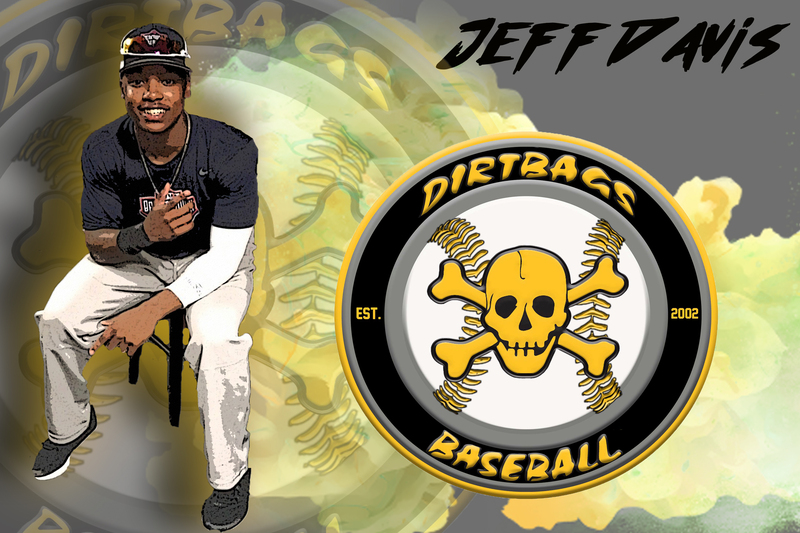 In a recent conversation with Dirtbags Baseball, where topics ranged from his baseball tools to his athleticism, Jeffrey maturely stated that the development of leadership skills has been one of his most sought after objectives this past year. He mentioned his favorite class, Teacher Cadet, as a setting that has aided his cultivation of such skills. Pointing to the course as an opportunity to work with younger students, Davis stated he liked learning to direct or encourage others for a purpose. While working on these inter-relational skills has provided growth for the junior his abilities on the diamond are hard to ignore. At 5’9” and 160 lbs., the center fielder combines a solid bat, speed and arm strength to make him a valuable asset for any team. Having spent this past off-season honing his skills at the plate and adding some body strength to his swing, Davis says he has noticed the ball jumping more and traveling farther in the 2019 campaign thus far. His efforts to improve his speed has also paid dividends in tracking balls in the outfield to getting around the bases. While he is excited about what the summer brings for his time with the Dirtbags, he is very aware of the opportunities that will be available due to his performances on the field. Whether in national events that have countless college programs represented, to more regional tournaments and showcases, the right-handed hitter promises to take advantage of each one. He has a few targets for where he’d like to land collegiately and they range from close to home to out of the state. While he isn’t sure the exact where, Davis is aware of what is next. He will have to show his skills and consider the program for how it can continue to let him grow as a player and a person. So as Davis keeps playing and simultaneously looking for that best collegiate fit, know that it will be a place where he can not only play, but continue to grow as a leader. Because he knows those skills will play – on the field and when the games are over. He knows being a leader will serve him well beyond his time on the diamond.